The Adopt a Stream program is a volunteer water quality monitoring program. Residents can adopt a water-body on their own or, “Stream Teams” can be formed to work together or to take turns. TVWA encourages people of all ages to “Adopt a Stream”. There is something available for everyone. Training will be held at the TVWA office at 909 Cushman Street, suite 205.. The Adopt-A-Stream program is a volunteer based effort coordinated by the Tanana Valley Watershed Association, (TVWA) in partnership with the City of Fairbanks’ Storm Water Advisory Committee. The goal is to get residents and local businesses involved in monitoring the water quality of the local rivers, lakes and streams. Elements of the programs include water-quality monitoring, litter pick-up, stream bank restoration and maintenance, and management of flow restrictions. The Adopt-A-Stream program kicked off June 1, 2007 and has been a success ever since. You can join our citizen scientist team at any time by contacting us at tvwatershed@gmail.com. The waterways of our community are an essential part of what makes the Tanana Valley a wonderful and exceptional place to live, work and visit. Assessing and improving the health of our watershed is a much bigger task than any one agency can take on. This is a community size task. Plus, this is fun and educational. 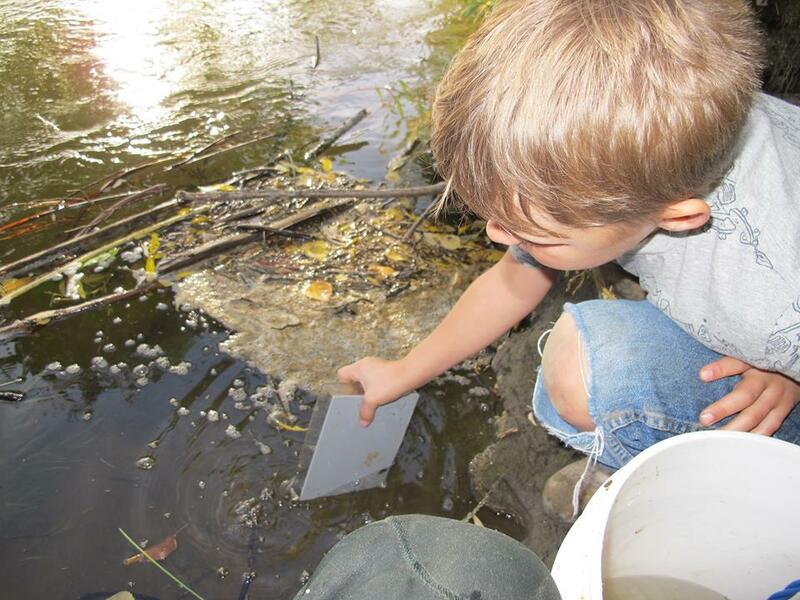 Many of the activities within the Adopt-A-Stream program can be unique educational tools and all of the activities are an extraordinary way for members of the community to get involved. The results from some of the sampling or restoration efforts can lead to positive changes in waterways within the Tanana Valley Watershed (e.g., fish habitat restoration, solving erosion control problems, removing point source pollution sources). Let's take pride in the Tanana Valley Watershed and see what we, as a community, can accomplish together. 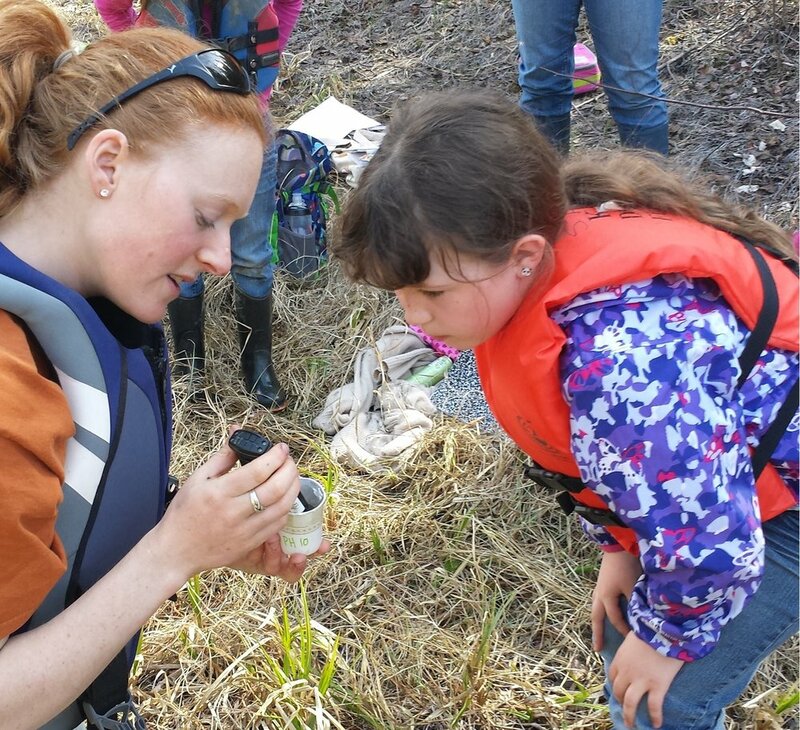 Basic water quality monitoring can begin at any age. Volunteers will learn about the parameters of water that are looked at to determine the health of the stream, as well as invasive species, healthy bugs and the importance of the riparian zone. Using the world water monitoring kits citizen scientist will sample their local water bodies for Turbidity, pH and Dissolved Oxygen. The data collected by our volunteer team will be input into the Fairbanks Stormwater Advisory Committee yearly water quality report. We also send the data to DEC's Division of Water, Water Quality Standards, Assessment, and Restoration department. They analyze this data and it helps them determine the water quality health of each stream. We now have our Adopt a Stream Sites mapped out. If you want to see what sites have historically been adopted check out the map below! Or click on this link! To adopt a water-body near you or get water quality training and resources for a group, camp, or club, contact us at tvwatershed@gmail.com. Residents can adopt a water-body on their own or, "Stream Teams" can be formed to work together or to take turns. Possible team members could be comprised of families, businesses, schools, clubs, fellow employees, churches, stream side property owners -- the more the better! TVWA encourages people of all ages to become involved in our programs, there is something available for everyone. A. Fill out this form and return to tvwatershed@gmail.com or drop it by our office at 909 Cushman Street, suite 205. B. Choose a section of stream close to your home or business or a section that you frequent while fishing, canoeing, boating or just lunching. Any water-body that lies within the Tanana River watershed can be adopted, such as the Chena or Tanana River, Chena, Noyes, or Deadman Slough, Goldstream Creek, or Clearwater Creek. You will register this section as “your” section on the Adopt-A-Stream. C. Decide how many times a year you can commit to sampling this section of waterway. A minimum of two times per year is asked. TVWA staff will come GPS mark your site so that we can record exacting where the water quality readings came from. D. Schedule an Adopt-A-Stream training day to learn the proper techniques for water quality sampling and to collect your sampling supplies. These kits will be inventoried and signed out to each group or individual. E. Turn in your data collection sheets once per month. Data sheets can be scanned and emailed to tvwatershed@gmail.com or dropped off at the TVWA office at 909 Cushman Street, suite 205 Fairbanks AK 99701. F. Turn in all water quality supplies to TVWA by October 30th, the end of the open water season. Habitat surveys based on the EPA Habitat Walk method to be conducted during the season to record changes in riparian habitat over time. If you need a refresher on water quality sampling, click here for a powerpoint presentation refresher!